There are always some jitters when it comes to the Big Day of delivery. With every passing day the mother becomes more and more conscious and the nerves start to act outlandishly at times. The idea is to remain calm and know what to do under pressure. 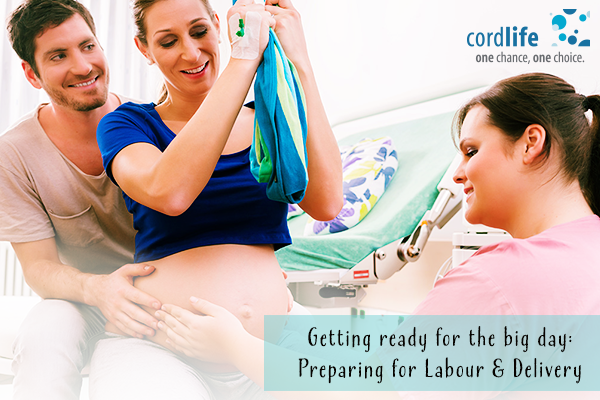 Check out this exclusive list of activities that you need to ensure in order to prepare for labour and delivery. When you take some of these classes conducted by the maternity hospitals, your nerve tends to settle down as you will find yourself amongst a group of women who are at the same stage as you are. These classes will also help you to learn some important breathing techniques and will equip you with the skills of managing pain. They also will let you know what to expect after the first few minutes of your child’s birth and how to cope with the stress. These classes are extremely beneficial for the first time moms. If possible, take your birth partner along with you in these classes. Massaging your perineum with some lubricating Vitamin E oil is a perfect way to ensure that your cervix is all relaxed and the baby can come out comfortably. The doctors normally suggest the would-be mothers to massage their perineum on a regular basis 2 to 3 weeks before the estimated delivery date. However, remember to wash and dry your hands before you do that because the chances of bacterial infestations are pretty high and you should do well to avoid that. Do not get fixed on the idea of a picture perfect delivery because that will eventually put additional strain on you. You need to remain strong and prepare for the unexpected because the membrane might rupture even before the due date. In cases of water breakage you must be taken to a secured medical facility. That is why it is always wise to get admitted at least 3 to 4 days before the expected delivery date. As the big day approaches your body will undergo tremendous hormonal changes. This will impact your overall mood and mental stability. The more you think about it, the more stressed out you will feel. That is why it is also important that you distract yourself a bit. Try and have a small outing with your friends and family or watch some movies which might cheer you up. Kegel exercises often strengthen your pelvic muscles aiding them to take the stress of the delivery. 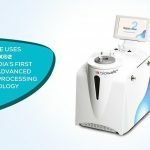 This will ensure the proper flow of blood throughout your body and will make it ready for the delivery. However, do not try such exercises on your own. Consult your physician or caregiver before starting with the workout routine. Apart from all the above mentioned things, you should always stay in touch with your gynaecologist and inform him/her if you feel that there is something out-of-order. 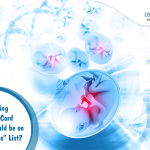 Why Banking Umbilical Cord Blood should be on your “To Do” List?